Sally is a qualified physiotherapist with a Masters of Physiotherapy degree from The University of Sydney in 2009. She also completed Bachelor of Applied Science (Exercise and Sports Science) and is a trained Pilates Instructor with Polestar Pilates Australia. 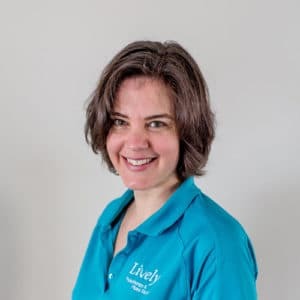 Additionally Sally has completed courses in acupuncture, hand trauma, Dean Watson Headaches, Muscle Energy, and ConnectTherapyTM. Sally has over 10 years experience in the health and fitness industry and has previously worked in a wide variety of Physiotherapy areas. These include sports physiotherapy and work with sporting teams, hospitals, neurological and orthopaedic rehabilitation, multi-trauma, hands and intensive care. She also has a keen interest in many sports including cycling, rowing, boxing and swimming. Sally works part-time. She is available for Physiotherapy treatment Monday afternoon, Wednesday & Thursday , and teaches PEP sessions on Monday morning and Thursday afternoon.